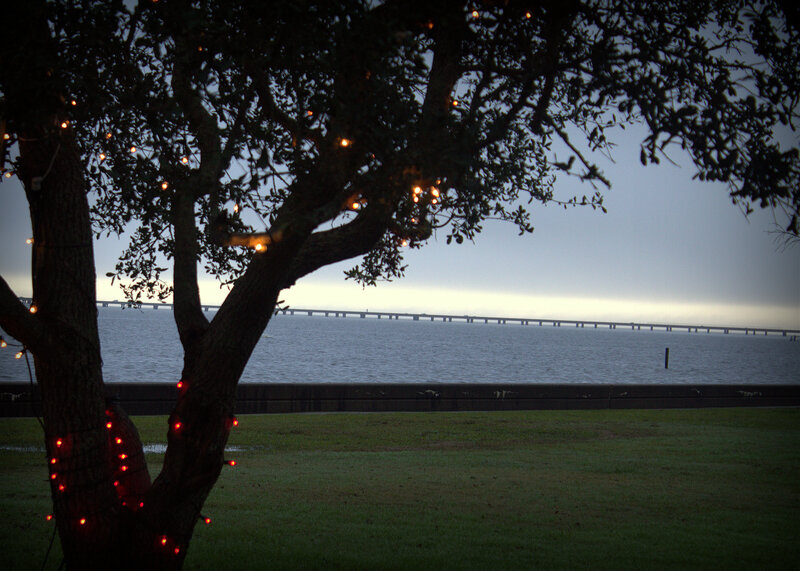 Home on the shore of Lake Ponchartrain: foggy, lighted, and ethereal. As is much of North America, a preternatural warmth has settled over Louisiana. One natural result is fog. On Christmas Eve, fog shrouded the shores of the largest lake in Louisiana, Lake Pontchartrain, making everything a bit other-worldly. Mandeville, Louisiana, was once a favored site for wealthy New Orleanians needing a break from the squalid city. Even the poor sought solace on the northern shores away from the city fleeing the summer scourges of the city. New Orleans often stood nearly empty in summer, as countless residents fled epidemics that took the lives of city dwellers before science chased away the plagues caused by mosquitoes breeding in fetid waters. The cool lake breezes and the wooded landscape appealed to those seeking to ease body and mind. Ferry boats brought passengers for day trips, week- long excursions, or for the wealthy, season-long reprieve. When the mosquitoes had finished the work of death in the busy city, families returned to New Orleans to continue on with their lives. A restoration is underway for Rest A While, a historic retreat. 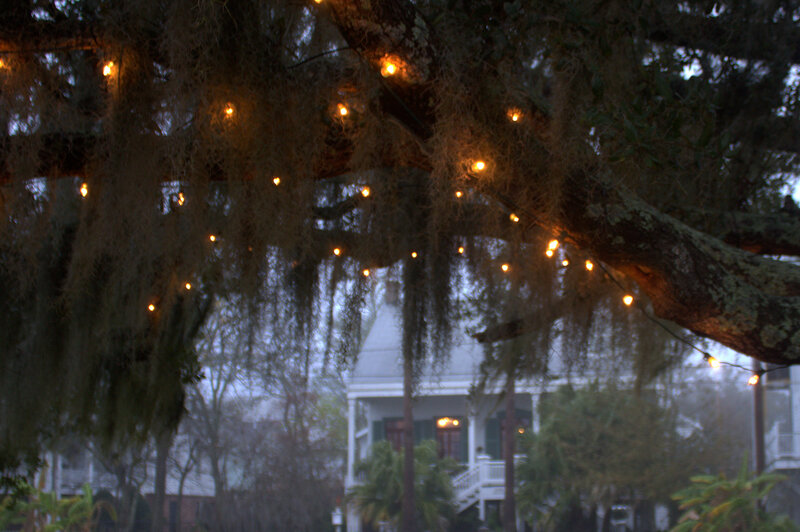 The foggy weather causes Rest A While, a famous inn from the 1880s to appear ghostly and mysterious. A view of the lake from the grounds of the big houses. The lake has disappeared in a shroud of fog. The fog began to break as rain rolled in on Christmas Eve. The bridge connecting Mandeville to New Orleans is in the foreground. If you are in need of rest for body and mind, I can hardly recommend Mandeville. To the dismay of old-timers here, most of the natural landscape has given way to strip malls, gated communities and big box retailers. A few swaths of the past remain, such as this walk near the lake in old Mandeville. This post is linked to Sundays in City, a meme hosted by Unknown Mami. Thanks. I enjoyed my time along the ghostly shores of the lake on Christmas Eve.